Dr. Afif Osseiran is director of radio communications within the Industry Area Telecom at the Ericsson CTO office. He received a DEA (B.Sc.E.E) degree in Electrical Engineering from Université de Rennes I and INSA Rennes in 1997, a M.A.Sc. degree in Electrical and Communication Engineering from École Polytechnique de Montreal, Canada, in 1999. In 2006, he received his Ph.D from the Royal Institute of Technology (KTH), Stockholm, Sweden. Since 1999 he has been with Ericsson, Sweden. From November 2012 to April 2014, he managed METIS, the EU 5G flaship project. From April 2008 to June 2010, he was the technical manager of the Eureka Celtic project WINNER+. During the years 2006 and 2007 he led in WINNER the MIMO task. His research interests include many aspects of wireless communications with a special emphasis on advanced antenna systems, on relaying, on radio resource management, network coding and cooperative communications. Dr. Osseiran is listed in the Who’s Who in the World, the Who’s Who in Science & Engineering. 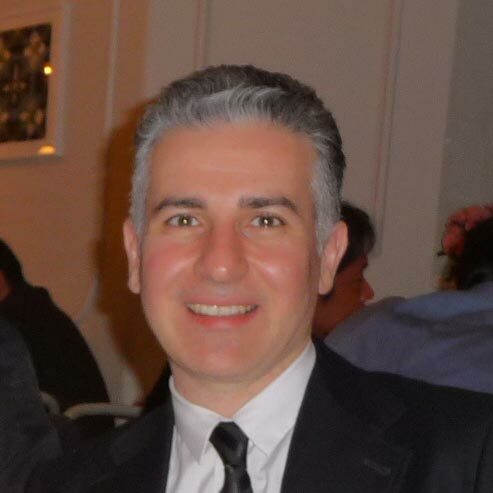 Dr. Osseiran has published over 50 technical papers in international journals and conferences. He has co-authored two books on IMT-Advanced: « Radio Technologies and Concepts for IMT-Advanced » and « Mobile and Wireless Communications for IMT-Advanced and Beyond », published in 2009 and 2011, respectively with John Wiley & Sons. Afif has co-organized multiple IEEE workshops and served on various technical program committees, for instance having been the MWC2020 worskhop chair of IEEE VTC Spring (2013 and 2014). Dr. Osseiran is a senior member of IEEE.